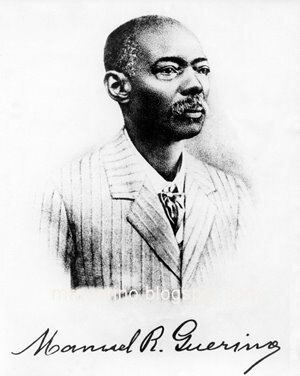 Manuel Raimundo Querino (1851-1923): Bidding farewell to "Mama Africa"
Large crowds have flocked to a memorial service in Johannesburg for South African singer Miriam Makeba, who died last weekend after a concert in Italy. Musicians, poets and politicians paid tribute to the 76-year-old performer. 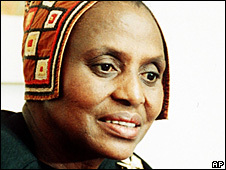 Arts minister Pallo Jordan described Makeba as "a woman whose name became synonymous with the worldwide struggle for freedom in South Africa". 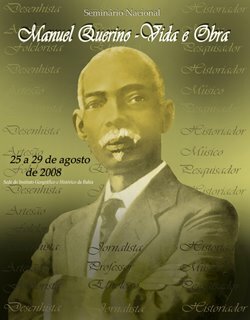 Her family also attended the service at the Coca Cola Dome concert venue, which followed two days of national mourning. They are expected to hold a smaller service for her cremation on Sunday. The singer, who was known as Mama Africa, spent more than 30 years in exile after lending her support to the campaign against apartheid. Her memorial service drew hundreds of mourners, both black and white and of all ages. South African trumpet player Hugh Masekela, once married to Makeba, performed a solo version of her song Welele to the accompaniment of soft clapping from the crowd. Poet Maishe Maponya spoke of how her "lips touched our hearts with hymns of beauty" and how she had inspired her people with hope for the future. Former South African President Thabo Mbeki and current Deputy President Baleka Mbete were also present. President Kgalema Motlanthe, in Washington for a G20 economic summit, paid tribute to Makeba in a video message. "Let us say it loud and clear. Miriam Makeba was not affectionately called Mama Africa for nothing," he said. "Her music reverberated with consciousness about the real conditions of South Africans." Makeba was the first black singer to win a Grammy award, which she shared with Harry Belafonte in 1965. She was one of Africa's best known singers, famed for hits such as Pata Pata and The Click Song. Former president Nelson Mandela said she was the "mother of our struggle" and "South Africa's first lady of song". Her body was flown home to South Africa on Wednesday; the country began a period of national mourning a day later.